Zig & Sharko’ first App! 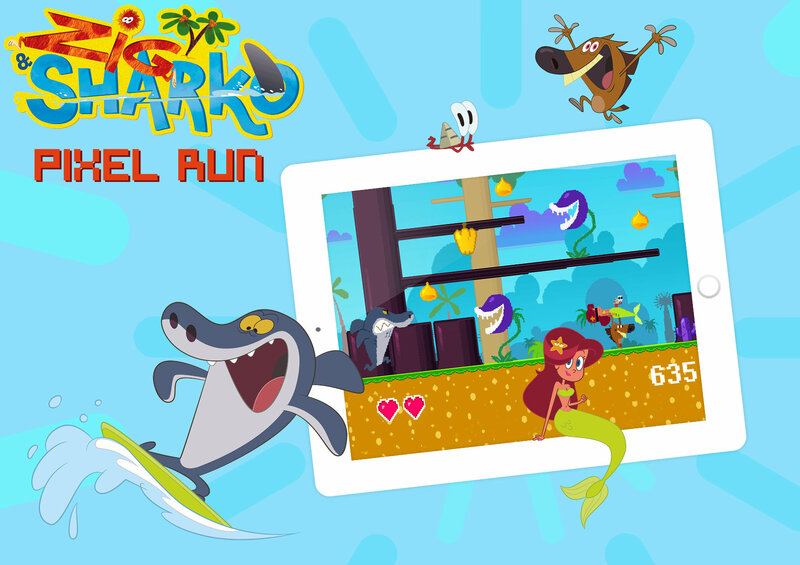 Play this retro arcade game as seen on TV in Zig & Sharko « Stepfather » Episode. A desert island, a starving hyena and one obsession: eat the mermaid! Zig’s dream might even come true… Marina set up house on the beach! Problem: so has her bodyguard, the shark! Ouch!